Augmented reality is a trademark invention that allows a customer to see layers of holograms and virtual objects in real time. If you manage shopping apps or an e-commerce website, marketing managers must consider incorporating augmented reality moving forward. Augmented reality is best used through an app. Although the investment is costly, it could increase profitability significantly in the long run. Even when physically in store, it can be difficult for a customer to imagine what a purchase would look like in their real life. Online purchases are even more difficult. Sizing and placement are important factors that are almost impossible for the average consumer to properly anticipate. Augmented reality allows customers to see an item in their own space. This will help to lower returns for business, which is huge. Online shopping is accessible to everyone, and we do not just mean the payment terminal. Making your store stand out in a saturated market can be difficult. Being ahead of the trend with augmented reality can bring an exciting new twist to improve the customer shopping experience. Augmented reality stores have the benefits a retail store experience for online shoppers in the comfort of their own home. Instead of losing customers that prefer a brick and mortar store, tailor your experience to them. Online stores constantly have to stay up to date on the newest technology to remain competitive. Keep your store relevant by getting ahead of the curve with an augmented reality element. As the technology moves forward, it will be easier to stay up to date if you already have the current model. Staying on pace with other stores will allow you to capture customers in a competitive marketplace. As more retail stores offer augmented reality, shoppers are going to begin to expect the service. Younger shoppers are the future of online shopping, which you know if you watch entrepreneur TV shows. As your key demographic, you want to cater to them as much as possible. The newer generation of consumers is accustomed to instant gratification. 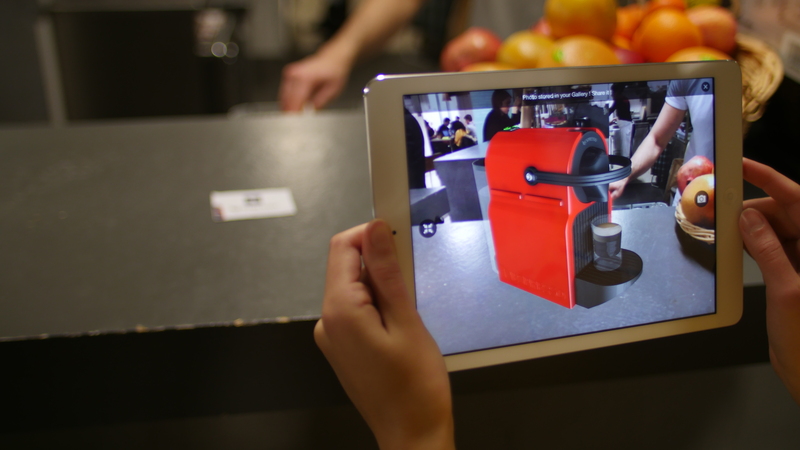 Augmented reality stores help create a situation where young shoppers can compare and contrast different items. Creating an immersive experience can be a great way to make a sale. By using an augmented reality shop to show a customer exactly where an item fits in their life, the chances of making the sale is improved. It will be much more difficult for an online shopper to forget about an item that they already envision as part of their room or wardrobe. Showing the value of your item in a more realistic way through augmented reality applications could be the make or break of a purchase. The online marketplace is increasingly competitive. Using every tool at your disposal will allow you to not only maintain, but increase profitability. Augmented reality is a tool worth investing in early on. You can reap the benefits of elevating every customers shopping experience through an augmented reality retail shop. If finances are concern, consider a test run of augmented reality in order to see how beneficial it can be.